Although labeled a trend, BYOD is poised to have a lasting impact on practices in virtually every industry and business function. Organisations that proactively establish BYOD policies, and harness the inherent advantages of BYOD to improve their workforce management processes, stand to gain a significant competitive edge. 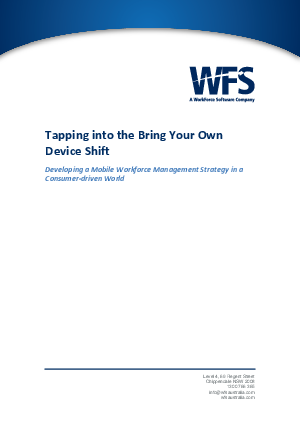 This paper explores the BYOD trend, examines its intersections with workforce management, and provides recommendations on how organisations can maximise the return on their workforce management investments and practices in an increasingly mobile environment.